Staff at a mental health hospital "failed" a suicidal woman, who escaped and was found dead in a burnt-out car. German national Janet Muller, 21, was discovered in the boot of a car near Horsham, West Sussex, in March 2015 after going missing from Mill View Hospital in Hove. In 2016 Christopher Jeffrey-Shaw, from London, was jailed for manslaughter. The Sussex Partnership NHS Foundation Trust has apologised and said changes have been made. The inquest jury agreed on a verdict of unlawful killing. Coroner Penelope Schofield said: "During her detention Janet was at risk of absconding. Staff were aware, but there was a lack of communication. "There were inadequate risk assessments carried out and documented. Nursing records, handovers, risk assessment and a care plan were incomplete, insufficient and at times contradictory." 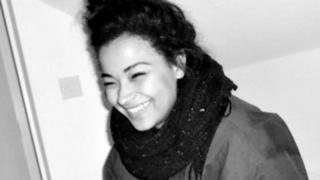 When the Brighton University student disappeared on 12 March it was her second escape of the day. The first time she was seen by a farmer and brought back. It was directed she should be checked on every 15 minutes, but the court heard there was no record this happened and no extra security measures implemented. That evening she climbed over the hospital wall. The coroner said she will be putting together a report to prevent future deaths because "the jury has identified failings by the trust", and she is concerned mentally ill patients "are not being protected". The trust has installed a 15ft fence instead of a wall, and an entry and exit fob system. Dr Gurprit Pannu, consultant psychiatrist and clinical and service director, said: "I want to offer my sincere condolences on behalf of the trust. I also want to say sorry. Ms Muller was a vulnerable young woman under our care who should not have been able to leave hospital in the way she did. "I take personal responsibility for making sure we reduce the risk of anything like this happening again."